Think of it. This was a great run for both companies. Victress bodies were being sold from ’52 thru ’61 by Victress and then continued with different branding under La Dawri thru ’65. 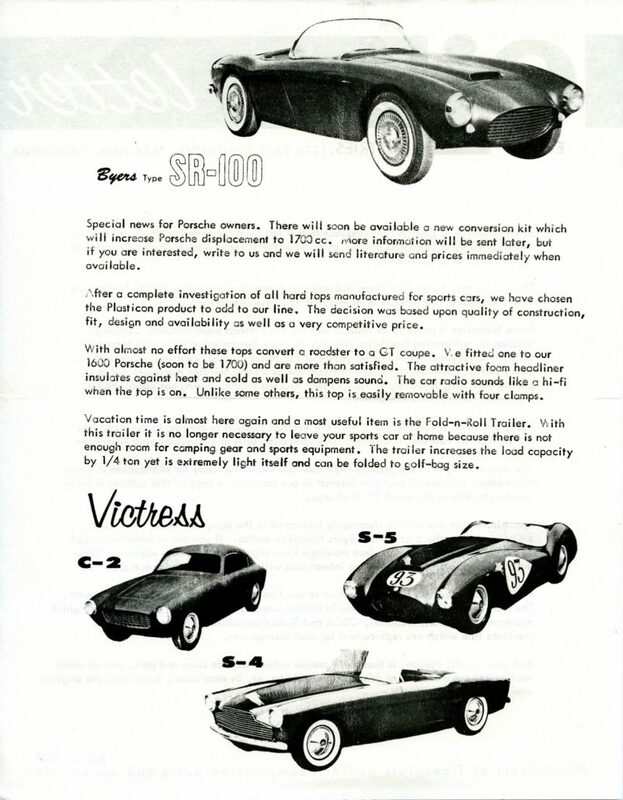 You could buy a Victress S1 body from ’52 thru ’65 – it was renamed “Cheetah” by Les Dawes in ’61. Byers started offering SR-100 bodies in ’55 and did so for about 10 years until passing them to Kellison and Fiberglass Trends. Pretty impressive run for both companies – but in the early ‘60s it wasn’t over yet. Allow me to introduce you to Art Evans and Evans Industries. By 1960, both Victress and Byers had been selling bodies for a number of years – Victress 8 years and Byers 5 years. It’s not surprising that it was time to try something different. 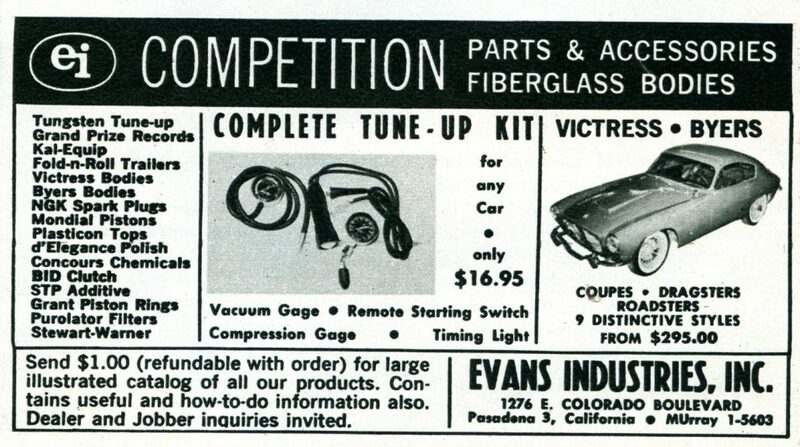 For Victress, embracing a “sole distributor” was old hat – they did this with Hellings back in ’53. For Jim Byers, this was something new. But how long can you sell the same styled body? In America at that time, people were used to significant changes in body styling nearly every year. 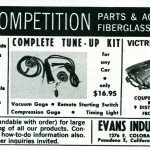 So after selling the same bodies for a number of years, both Doc Boyce-Smith and Jim Byers probably looked at Evans Industries as a way to capture new sales at little or no cost to either one. And Art Evans wasn’t new to Victress. Both Doc Boyce-Smith and Merrill Powell knew Art. He had raced his MG special with a Victress S5 body for 2-3 races in ’55 and had displayed his racecar as part of the Petersen Motorama in ’55 with Victress. Art Evans was a friend of Victress – and probably Byers too. 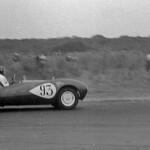 Here's Art Evans At Speed Driving His Victress S5 Bodied MG Special at a Race in California in '55. Both Doc Boyce-Smith and Merrill Powell knew Jim Byers – Jim had worked closely with Doc on putting together the prototype and first Victress S1 body back in ’52. So it’s not a big leap to see Art Evans closing the loop and putting together a distributorship selling Victress and Byers bodies – and more. Let’s take a look at the initial press release announcing this partnership. And as you read this, there are a few surprises that we’ll have to address later. Evans Industries is gratified to announce that it has been appointed as the distributor of Victress and Byers fiberglass bodies, products of the Victress Manufacturing Company of North Hollywood, California. 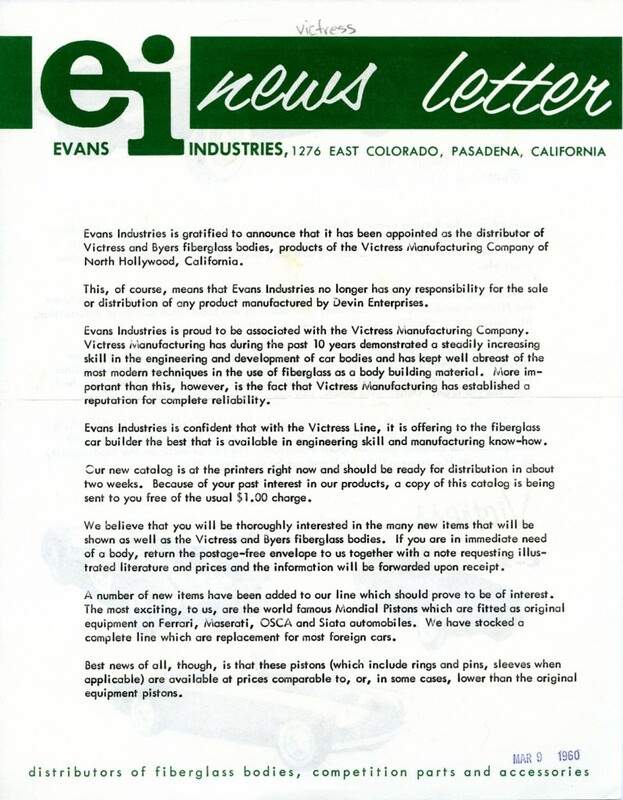 This, of course, means that Evans Industries no longer has any responsibility for the sale or distribution of any product manufactured by Devin Enterprises. Evans Industries is proud to be associated with the Victress Manufacturing Company. 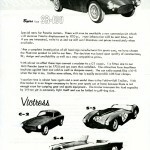 Victress Manufacturing has, during the past 10 years, demonstrated a steadily increasing skill in the engineering and development of car bodies and has kept well abreast of the most modern techniques in the use of fiberglass as a body building material. More important than this, however, is the fact that Victress Manufacturing has established a reputation for complete reliability. Evans Industries is confident that with the Victress line, it is offering to the fiberglass car builder the best that is available in engineering skill and manufacturing know-how. Our new catalog is at the printers right now and should be ready for distribution in about two weeks. 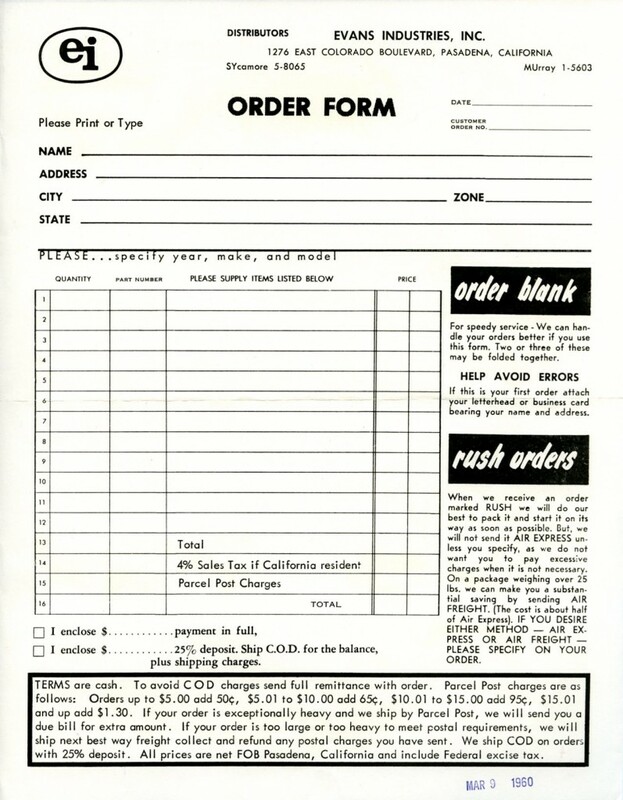 Because of your past interest in our produces, a copy of this catalog is being sent to you free of the usual $1.00 charge. We believe that you will be thoroughly interested in the many new items that will be shown as well as the Victress and Byers fiberglass bodies. If you are in immediate need of a body, return the postage-free envelope to us together with a note requesting illustrated literature and prices and the information will be forwarded upon receipt. A number of new items have been added to our line which should prove to be of interest. The most exciting, to us, are the world famous Mondial Pistons which are fitted as original equipment on Ferrari, Maserati, OSCA and Siata automobiles. We have stocked a complete line which are replacement for most foreign cars. Best news of all, though, is that these pistons (which include rings and pins, sleeves when applicable) are available at prices comparable to, or, in some cases, lower than the original equipment pistons. In this press release, we find out where the rumor started that Victress had bought Byers – it’s stated in the first sentence – or at least implied. I checked with all the folks at Victress – Merrill Powell who was Vice-President of Victress Manufacturing and Bill Quirk their Production Manager – both confirm they knew Jim Byers, but no such sale of Byers to Victress ever occurred – or was even discussed as either recall. It’s also interesting to note the second paragraph of the press release where Evans Industries is no longer selling or distributing products from Devin Enterprises. I’ll have to talk to Art about this in more detail to learn a bit more. There is a clue, though, in our interview with Art Evans, below. I did speak with Art at length about the Victress and Byers connection. Let’s see what he had to say. “Geoff… The principles of Evans Industries were my father, OCee Ritch and me. OCee and I started it because we had been the advertising and PR agency handling Devin. When Bill Devin conceived the SS, we though it a great thing, but Bill didn’t have any financing, so we formed EI and brought my dad on board for financing. But late in 1960, my dad had a heart attack and had to retire. Plus OCee got an offer as Public Relations Manager of Renault – an offer he couldn’t refuse. I didn’t feel I could soldier on alone. So I closed Evans Industries late in ’60 and became a school teacher, something I had always wanted to try. I put all of the papers and documents in storage back then. I remember taking PR photos for Victress, and putting together the catalogs and sales flyers for the company. I knew the Doc Boyce-Smith who owned and ran Victress and I took some PR photos for him. The EI distributorship of Victress/Byers was a short-term enterprise and I don’t remember selling many bodies. So another research “brick” falls into place, and more information is revealed about two special companies, their products, and the people involved. And…great news! 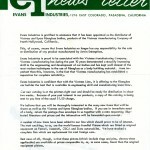 Alden Jewell has located a full “Evans Industries Catalog” from fiber-friend Wayne Wenger. 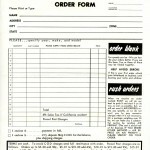 I can’t wait to share this newly found catalog here on Forgotten Fiberglass with each of you soon. Great article, I know Art very well, we both belong to a group called the “Fabulous Fifties”. It is for people that were involved in sports car racing back in the ’50s mainly on the west coast. We both raced Jaguar XK 120s back then. 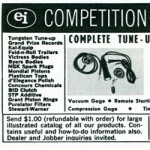 That was before I traded mine in for a Berkeley SE 328 that I raced. Art also raced a number of different cars; beside the Victress S5 he raced a Devin SS. Art has written a number of great books about the racing scene back then. Yep, Art’s news release must be where the misconception arose that Victress had acquired the Byers molds. And, of course, subsequent magazine articles picked up on that. Doc and Jim were old friends, and I met him when he came out to our shop. Jim had helped Doc and Hugh with the S-1 plaster, and a later employee of Jim’s has identified Jim and another guy holding a Victress body in a pic from Doc’s archives. To my knowledge Jim never offered to sell his molds to us. Too bad; they would have been a nice addition to the line. Geoff is right; Evans Industries was an attempt to reach a wider “audience” of prospective buyers. I recall and estimate once that about 200 Victress bodies were sold in total. Could that estimate be low? The bodies were sold from the early fifties through 1960, and the rights to sell them were valuable to someone clear up until 1960. So it weems to me they must have sold more than 200 in total. LaDawri made more of each and luckily we have the production logs for Ladawri so we’ll have a precise number when we add those up. But just a few S1, S4, and S5 bodies were sold under a new name by Les Dawes. Suprising to Merrill Powell and I – about 120 C3’s were sold, and a very small number of C2’s by LaDawri.